Anyone who lives in the parish is welcome to have their child baptised in the parish church or to ask about baptism for themselves. For more information, please contact Revd Beth Bendrey or come along to our Family Service on the 1st Sunday of the month at 9.30 am and speak to us directly. 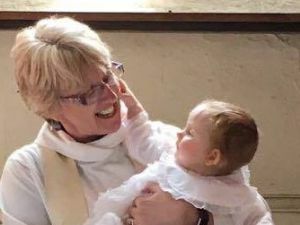 To find out more about Baptism in the Church of England, please click here.